One of the greatest pleasures in my life is drinking a great cup of coffee. 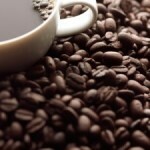 With the advent of single serve coffee makers in recent years, anyone can enjoy the perfect cup of Joe. Since I get up very early every morning, I only get to enjoy coffee with my wife on the weekends because during the week I utilize my single cup coffee maker at work. But, thank goodness, we both have the same taste in coffee. It has to be strong and it has to taste great. In the Northeastern United States, where we live, Dunkin Donuts is a very popular place. But, I must say, we avoid it at all costs, even if we are desperate for a cup of coffee. Starbucks, on the other hand, is right up our alley. In fact, we buy Starbucks coffee and brew it in our coffeemaker at home. This is the type of coffee that we enjoy. As I mentioned previously, almost every morning I rise at around 3:50AM and head off to the gym. After my workout I drive another hour to my job. It isn’t until almost three hours after I awake that I will have my first cup of coffee. But it is certainly worth the wait. At the recommendation of a coffee blogger, I purchased a Black & Decker Coffee Maker. 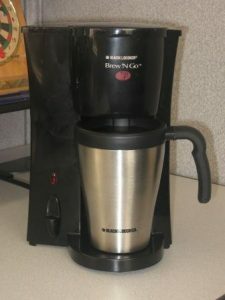 It is a single serve coffee maker and its full name is the Black & Decker Brew n go. The coffee brews directly into a stainless steel mug. I find this tremendously convenient because I don’t have to transfer the coffee from the pot into my mug. I am also a stickler when it comes to hot coffee and this stainless steel mug keeps my coffee hotter than any other container I have owned. 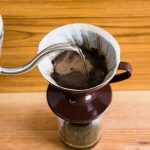 Another option for single serve coffee is called pour over coffee and it is all the rage these days. But I am extremely happy with my single serve coffee maker. 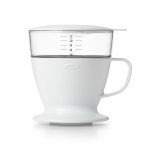 What do I find most enjoyable about having a single cup coffee maker? I know that when I get to work all I have to do is add my favorite coffee and water and within minutes I’m drinking great coffee straight from my stainless steel travel mug. I also don’t have to wait in the lines at work at the coffee machine for a subpar cup of coffee. My wife and I occasionally travel, either visiting my daughter in Maine or just for a weekend getaway. Most motels and hotels tend to have a coffee maker but we have been to many that don’t offer one. This 1 cup coffee maker is so small that you can easily pack it back in its original box and take it with you. 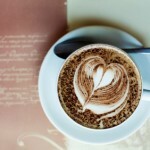 Over the years, coffee has certainly become a specialty drink. There are so many choices out there that you can become creative in your coffee flavors. If we find two different coffees that we really like we tend to brew them together with our Black & Decker coffee maker and you can surprisingly come up with a creative, unique blend of coffee. Saving money is very important to me. When I was stopping for my Starbucks coffee every day, I was spending quite a bit of money over the course of the year for my coffee addiction (OK I admit it…). On top of the coffee, oftentimes I was adding in a blueberry muffin or a scone to eat with my coffee. Needless to say, before I left the coffee house, I was down close to $5. Using this single cup coffee maker has certainly saved me a lot of money. Cleaning a single cup coffee maker is a snap. All you have to do is to follow the directions in the manual and add a mixture of water and white vinegar and run it through the brewing cycle a couple of times. Then you want to run it through a couple more times with just plain water to remove any hint of odor or taste of the vinegar. Also, the Black and Decker personal coffee maker comes with a built-in filter so you don't have to buy filters. To be honest, what I have found is that it is a lot easier for me to use a paper filter. This model uses #1 filters but they are not easy to find so I simply use a #2 filter and cut about a quarter of an inch off the top and it fits perfectly. After I make the coffee I simply pull out the filter and the left-over grounds and throw them in the bucket without having to thoroughly clean the built-in mesh filter. So, for the money (I paid a paltry $18.50) I highly recommend the Black & Decker Brew ‘N Go if you are in the market for single serve coffee makers. I have tried many different single cup coffee makers over the years, especially at my work, where they are constantly changing from one individual coffee maker to another. I have now owned this Black and Decker one cup coffee maker for approximately a year and a half and this is the best coffee maker for a single cup serving that I have come across. There are numerous one cup coffee makers out there in the marketplace and you can read all of the single cup coffee maker reviews that you can get your hands on. You will find that I am not the only one who thinks that this is the best one cup coffee maker on the market. I took the advice of a coffee blogger when I was looking for mine and he didn't steer me wrong. Coffee is one of the simple pleasures in my life. I want to make sure that I have the proper equipment, at the right price, to brew my coffee. 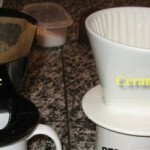 The benefits of a single cup coffee maker are numerous. Take your time and read the reviews on the various types that are out there. If you take my advice I know you won't go wrong. Enjoy! In fact, as I write this, I’m drinking a combination of Starbucks and a local coffee from a guy who roasts his own beans near where I live. This is the great thing about coffee. You can mix and match and blend different coffees to get unique tastes. My personal coffeemaker really helps me start off my day! 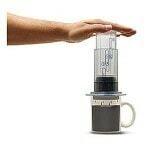 Hey there Bob, I do love coffee, and I think this one cup coffee maker is the one I need in my house. I’ve had a coffee maker before but It didn’t last because I don’t know how to maintain it, it was hard to clean the inner parts of it. But with this blog f yours, I could now have my very own one cup coffee maker and it’s really a perfect gift for myself this holiday season. It helped me. Thanks! I’m glad my post helped you! I love my coffee maker. I certainly enjoyed reading of your appreciation of your coffee maker. You seem to be really appreciating the benefits of what one cup coffee makers are made for, and you have got me thinking about being more creative with my coffee drinking. However, your rising at 3.50 a.m. also caught my attention – oh my – my brain doesn’t even know that time of the morning.